The first group of participants in the San Antonio’s full-day public preschool program performed better on state standardized tests than others in public preschools and those who didn’t attend preschool, according to a new study, San Antonio Express-News reports. Voters approved Pre-K 4 SA in 2012. In 2018, the first group of Pre-K 4 SA students reached third grade, when the State of Texas Assessments of Academic Readiness (STAAR) exam is first given. How do Pre-K 4 SA students (76.3% Latino) compare statewide? Over 11 percentage points higher on reading scores and over 15 percentage points higher on math scores than students who didn’t participate in public pre-K, according to the report by University of Texas San Antonio (UTSA) Urban Education Institute! Pre-K 4 SA students also had higher attendance. They attended 5.5 more days than other students who attended public pre-K, and 33.3 more days than students who didn’t attend public pre-K.
“Our findings suggest that San Antonio’s investment in quality early education had a positive effect,” said Mike Villarreal of the Urban Education Institute, according to the Express-News. Each $1 invested in preschool programs is estimated to return $1.80 to $17.07, depending on the program and length of follow-up. Learning isn’t just academic, it is social and emotional. Early childhood learning affects lifelong social, health, and economic outcomes. When learned early, social and emotional skills can help children overcome challenges and avoid unhealthy behavior, improving a variety of outcomes into adulthood, and have significant economic impact for individuals and society overall, according to a Salud America! Research Review on the State of Latino Early Childhood Development. Only 40% of U.S. Latinos and 41% of low-income kids participate in preschool programs. That’s compared to 53% of whites and 61% of more affluent kids, according to the Salud America! Research Review. These kids are at risk of not getting the proper care, services, and environment they need for academic and lifelong success. They risk falling behind in school, missing class, dropping out of high school, engaging in risky behaviors, and suffering from chronic disease. In Texas, most public school funding comes from local property taxes, leaving Latino students in districts with the lowest property wealth at a significant disadvantage. Improving access to affordable quality preschool can spur greater benefits for children with delays in social-emotional skill development associated with early socioeconomic disadvantage. The problem is, full-day preschool is not universal—affordable and accessible—in most states. In 2011, more than 30% of eligible 4-year-olds in San Antonio weren’t enrolled in free pre-K or were only enrolled in a half-day program. After the Texas legislature slashed more than $200 million allocated for half-day pre-K for low-income kids, former Mayor Julían Castro proposed an initiative to raise the local sales tax by one-eighth of a cent to fund full-day preschool for disadvantaged 4-year-olds. That same year, more than half of Florida’s 4-year-olds attended state-funded universal pre-K which was established in 2002 when voters passed a constitutional amendment guaranteeing the availability of free pre-K. In November 2012, San Antonio voters approved the sales tax increase to fund Pre-K 4 SA. San Antonio opened two preschool centers in 2013. They opened two more in 2014, serving 2,000 lower-income students annually. Did Pre-K 4 SA Really Work? Although the first re-K 4 SA students started the school year significantly below a nationally representative sample, they caught up and closed the gap in kindergarten readiness, according to the Year 4 Pre-K 4 SA Evaluation Report. Pre-K 4 SA students surpassed cognitive, literacy, and math national norms upon entering kindergarten. San Antonio leaders wanted to know if those academic benefits would fade over time. So UTSA’s Urban Education Institute─a hub to prepare future educators and strengthen partnerships to raise the educational attainment levels and earnings of economically disadvantaged students─got support from the Raise Your Hand Texas Foundation to test and visualize longer-term effects of participating in Pre-K 4 SA. “Big data is being used to analyze the impact educational policies and programs are currently making to improve postsecondary education and workforce outcomes in the city and region,” said Villarreal. The new study examined reading and math test scores of the 400 third-graders who attended Pre-K 4 SA in 2013-2014, compared to 10,000 other third-graders with similar demographics. In addition to exceeding statewide average passing rates in reading (11 percentage points higher) and math (15 percentage points higher) compared to students who didn’t attend public pre-K, Pre-K 4 SA students were two-thirds less likely to be placed in special education than students who didn’t attend public pre-K, according to Villarreal’s preliminary results given to the Pre-K 4 SA board in January 2019. “The study also found that enrollment surged in other public pre-K programs starting with the 2013-2014 school year, which suggests that the new city program ‘created a surge of awareness about the value of early childhood education,’” according to Villarreal and the Express-News. These gains are in addition to big improvements in school attendance. Improved attendance also means more money for schools. “Local schools received approximately $23.2 million more in funding because of increased attendance, both by Pre-K 4 SA students and other students who started enrolling in public pre-K programs after Pre-K 4 SA started,” according to Emily Donaldson with the Rivard Report. The upstream workforce, economic, and health benefits of Pre-K 4 SA will far out weight the immediate costs, which are roughly $7.81 per household per year in San Antonio. Only 2,050 kids are enrolled in the program, which is just 8% of San Antonio’s 4-year-old population, according to Dennis Foley with KTSA. 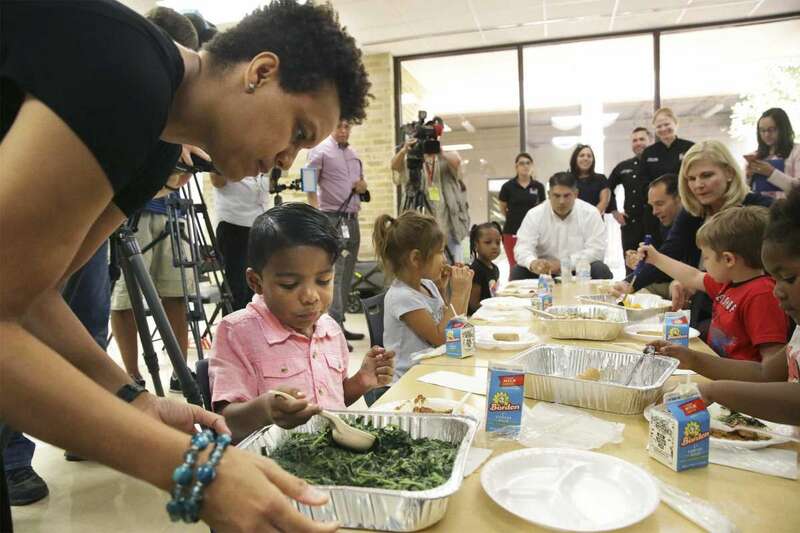 Villarreal and the Urban Education Institute will continue following Pre-K 4 SA students. Final results from the new study are expected to be released in February 2019. In 2020, San Antonio voters will likely be asked to reapprove the one-eighth cent sales tax to continue funding the pre-K program. Share these findings with elected officials in your community and check back for updates on the full report.